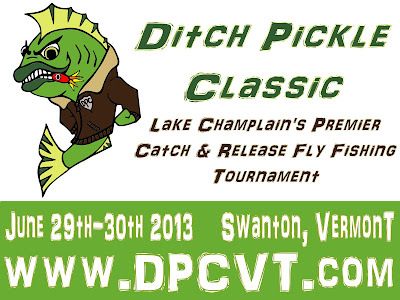 The dates for the 2013 DPC (www.dpcvt.com) have been set for June 29-30. The Ditch Pickle has grown consistently since 2010 and this year should be no different! Procedes from this year's event will go in part to installing monofilament recycling stations at select access areas for Lake Champlain. Competitors of all ages and abilities are welcome to fish in this great event which boasts itself as, "Lake Champlain's Exclusive Catch-Photo-Release Tournament for the Fly Rod Angler." 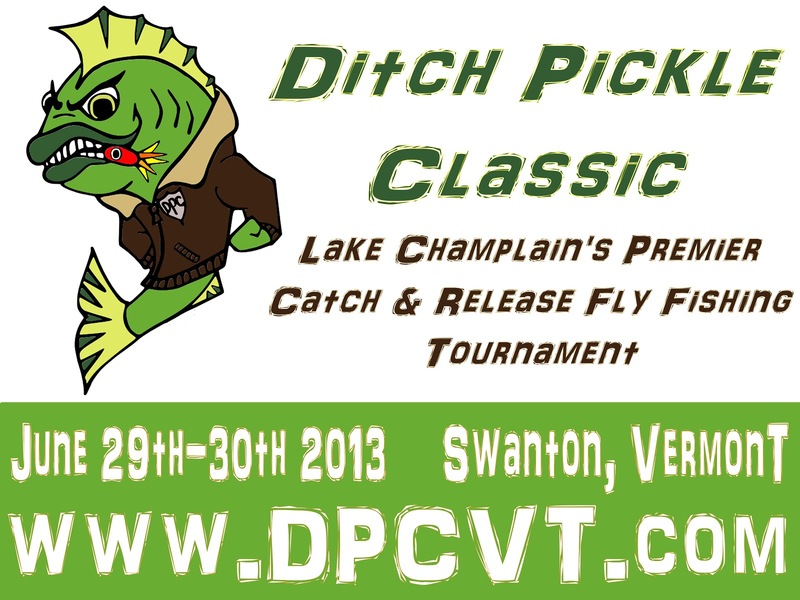 "LIKE" the Ditch Pickle Classic on Facebook...CLICK HERE!